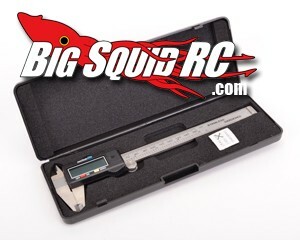 New Core RC Tools At Schumacher « Big Squid RC – RC Car and Truck News, Reviews, Videos, and More! The guys over at Schumacher have announced a bunch of new tools from CORE RC. One of these tools are these 4″ plastic LCD calipers that sell for about £12. Many other different types of tools are available, hit up THIS link to view them all. Schumacher also announced today they have opened up a new area on their website devoted strictly to overstocked and older items. Hit up this LINK for their new “Mega Clearance” section. TGIF, HERE’s a video of BigSquid booth babe Mandi unboxing the Duratrax DXR8-E buggy.